Leadership and conflict go hand-in-hand, and if you cannot or will not address conflict in a healthy, productive fashion, you should not be in a leadership role in your practice. 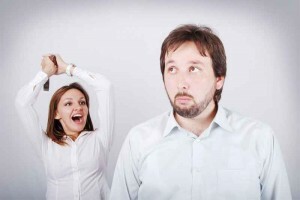 The fact of the matter is conflict in the workplace is unavoidable. It will find you whether you look for it (good idea – more later) or not. The ability to recognise conflict, understand the nature of conflict, and to be able to bring swift and just resolution to conflict will serve you well as a leader – the inability to do so may well be your downfall. Developing effective conflict resolution skill sets are an essential component of building a sustainable practice. Unresolved conflict often results in loss of productivity, creativity and the creation of barriers to cooperation and collaboration within your team. Perhaps most importantly for leaders, good conflict resolution ability equals good employee retention. Practice owners who don’t deal with conflict will eventually watch their good talent walk out the door in search of a healthier and safer practice environment. While conflict is a normal part of any social and organisational setting, the challenge of conflict lies in how one chooses to deal with it. Concealed, avoided or otherwise ignored, conflict will likely persist only to grow into resentment, create withdrawal or cause the creation of opposing parties within your practice. So, what are the potential causes that may create conflict in your practice? Communication: If you reflect back upon conflicts you have encountered over the years, you’ll quickly recognise many of them resulted from a lack of information, poor information, no information, or misinformation. Let’s assume for a moment that you were lucky enough to have received good information, but didn’t know what to do with it. That is still a communication problem, which in turn can lead to conflict. Clear, concise, accurate, and timely communication of information will help to ease both the number and severity of conflicts. Emotions: Another common mistake made in workplace communications, which leads to conflict, is letting emotions drive decisions. The nature of human existence will always create gaps in thinking and philosophy, and no matter how much we all wish it wasn’t so…it is. So the question then becomes how to effectively deal with conflict when it arises. It is essential for the health of your practice and staff performance that conflict be accepted and addressed through effective conflict resolution processes. While having a conflict resolution structure is important, effective utilisation of conflict resolution processes is ultimately dependent upon the ability of everyone involved to understand the benefits of conflict resolution, and perhaps more importantly, their desire to resolve the matter. Policies & Procedures: You know what they say about assuming. Just having a definition for what constitutes acceptable behaviour is a positive step in avoiding conflict. Creating a framework by establishing sound practice policies will all help avoid conflicts. Having clearly defined job descriptions so that people know what’s expected of them and a well-articulated chain of command to allow for effective communication will also help avoid conflicts. Clearly and publicly make it known what will and won’t be tolerated. Conflict Prevention: While you can’t always prevent conflicts, it has been my experience that the secret to conflict resolution is in fact conflict prevention where possible. By actually seeking out areas of potential conflict and proactively intervening in a just and decisive fashion you will likely prevent certain conflicts from ever arising. If a conflict does flair up, you will likely minimise its severity by dealing with it quickly. Time spent identifying and understanding possible tension will help to avoid unnecessary conflict. What’s In It for Me: It is absolutely essential to understand other’s motivations. The way to avoid conflict is to help those around you achieve their objectives. If you approach conflict from the perspective of taking the action that will help others best achieve their goals, you will find few obstacles will stand in your way with regard to resolving conflict. The Importance Factor: Pick your battles and avoid conflict for the sake of conflict. However, if the issue is important enough to create a conflict then it is surely important enough to resolve. If the issue, circumstance, or situation is important enough, and there is enough at stake, people will do what is necessary to open lines of communication and close positional and/or philosophical gaps. Conflict as Opportunity: Hidden within virtually every conflict is the potential for a considerable teaching/learning opportunity. Where there is disagreement there is an inherent potential for growth and development. If you’re a practice owner who doesn’t leverage conflict for team building and leadership development purposes you’re missing a great opportunity. Opposing positions addressed properly can stimulate innovation and learning in ways like minds can’t even imagine. Smart leaders look for the upside in all differing opinions. Bottom line is resolution can normally be found with conflicts where there is a sincere desire to do so. Compromise, compassion, empathy, finding common ground, being an active listener, and numerous other approaches will always allow one to be successful in building rapport if the underlying desire is strong enough. However, when all else fails and positional gaps cannot be closed, resolve the issue not by playing favourites, but by doing the right thing.